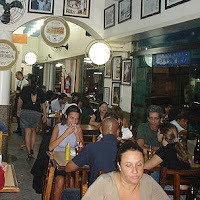 The Famoso Bar do Justo is a traditional bar of the North Region (Santana Suburb) of São Paulo, opened since 1949. The name comes from the original owner, who used to ask for everyone if the bill was 'fair enough'. Justo means Fair. 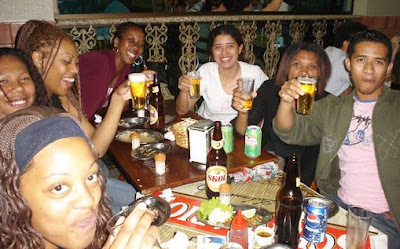 The bar is a great meeting place for happy hour, and offers some wide TVs during soccer matches and on summer, the tables of the sidewalk begins to fill and follow crowded until early hours almost every night. 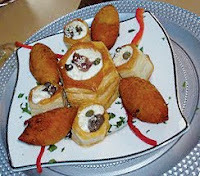 The advice is the 'petisco' called Sousplat de Vol-au-Vent (Cookie cod accompanied by mini vol-au-vent stuffed with tapenade and fresh curd and vol-au-vent large, stuffed with mashed potatoes, carrot, shrimp, cod, salmon, cream cheese, white sesame seeds, capers and anchovy fillets). Pretty easy to get addicted. When: Every day, from 8am till 3am. 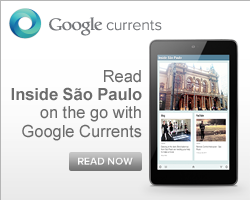 How much: About R$ 35 per person.